1. Javier Sierra takes us through his novel via four main locations as well as two different time frames. How did the 1630s' story line in New Mexico enhance your understanding of the 1990s' plot lines and threads? At what point did the stories fuse to help you decipher the religious conspiracy theory? Did the plot twists and turns take the path you anticipated? How? 2. Father Corso's death was deemed suicide due to "high anxiety." Do you think that Father Baldi trusted this information, or did he have doubts about the validity of this interpretation and his personal safety as well? Why do you think Corso erased his hard drive in his last minutes on earth? Did he sense the end was near? 3. Cardinal Zsidiv introduced Father Baldi to Chronovision, and they had a long-standing friendship/business relationship spanning approximately forty years. Although Zsidiv was team leader and project coordinator of the four saints, did Sierra lead you to believe he might not be trustworthy, especially in light of his sudden disappearance when the statue of St. Veronica exploded? How did his existence and the existence of the Chronovision experiment impact the story? 4. Several apparitions of the Lady in Blue warn the Jumanos of the arrival of the conquistadors. Why is it that so many Jumanos were able to see her and decipher her message? How did her appearances further the spread of Christianity in that region? What did you know about the Jumanos and their conversion to Christianity before reading this novel? 5. The Franciscan friars in New Mexico are baffled by the ready conversion of the Native Americans to Christianity. They first believed that the Lady in Blue was our Lady of Guadalupe (the Holy Mother). At what point did you comprehend the author's theory that she was actually a bilocating Spanish nun? Discuss why this theory does or does not ring true to you. Why do you think the legend is well known in the Southwest but not in Europe? 6. Dr. Linda Meyers tries to explain Jennifer Narody's dreams with a number of scientific theories like Stendhal Syndrome, a brain tumor, somnimnesia, and Dostoyevsky's epilepsy. Why do you think she tried so hard to label the problem and find a treatment instead of helping her patient decipher her dreams and work through what they mean? At what point did you figure out that Jennifer Narody herself had been bilocating? 7. 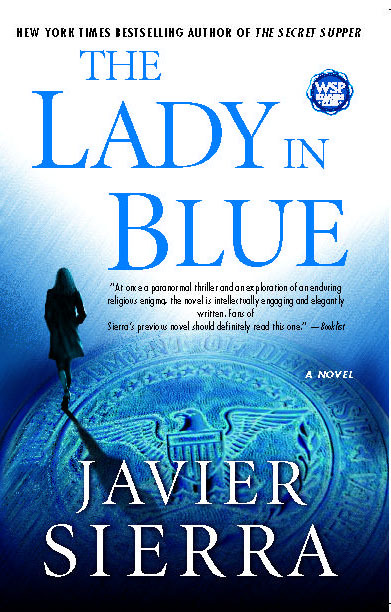 When the Memorial of Fray Alonso deBenavides manuscript is stolen from Madrid's National Library, did you think it was a coincidence that Dr. Meyers had just called the library director, or did you think she was somehow tied to the disappearance? Why did she feel it was her place to call? Were you wondering at all if she was the mysterious woman with the red shoes? 8. Did you find reporter Carlos Albert's obsession with the truth unsettling or provocative? Why do you think Mysteries was willing to foot the international bill to unveil the story of the missing ancient document? What made each interviewee trust Albert so? And, were you surprised to read in the post scriptum that this character is loosely based on the author? Why or why not? 9. Why did Father Tejada spend so many years on the beatification of Sister Maria Jesus de Ágreda? When did you figure out that he was one of the four saints? How? Did you believe Tejada's story of how the Spanish nun's mystical powers were discovered and how she bilocated more than five hundred times? Is there any other explanation? And, why would her story (and the stories of others like her) be left out of almost every history textbook? 10. 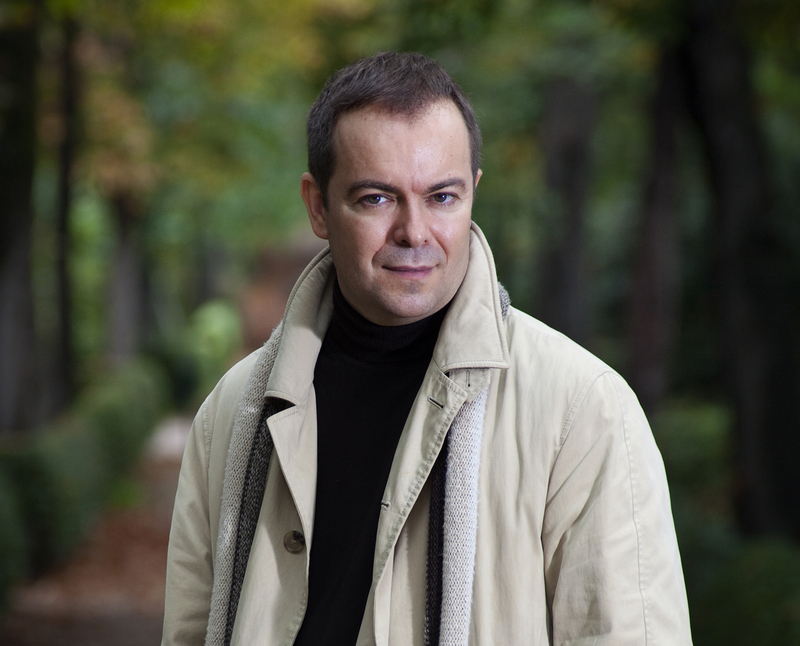 Early in the novel, Carlos Albert finds a chain with a pendant in Madrid. Later we find out the image matches the St. Veronica sculpture that some people (possibly terrorists) attempt to blow up. What did you think the significance of the pendant was going to be? Discuss the significance of the imprint of Veronica found on the Holy Shroud of Turin as well as the cloak worn by the Indian Juan Diego in 1531 -- neither made by human hand (page 307). 11. When Baldi is kidnapped, did you fear for his safety? Were you surprised to find out who kidnapped him and why? 12. Now that Corso is gone, the angels' hope lies in Carlos Albert. Once he interviews Jennifer Narody, reads Benavides's Memorial, and pulls all the information together, Albert realizes all the connections and synchronicities, and trusts even more in the Programmer. How do you think the story would continue after the ending Sierra provides? Would Albert share his discovery in the pages of Mysteries or in some other way? Or would the theory be silenced by the Pope or others? If so, why? Use food to set the mood! For example, make the theme of your session "blue." Serve blue corn chips and salsa, blueberries, and blue margaritas. Or look at sites like www.vivanewmexico.com, www.initaly.com, or www.gospain.org, for ideas on authentic fare of the different regions in the novel. Have some of your members do some extra research before the meeting on topics such as the Jumanos of New Mexico, the Roman sculpture of St. Veronica, or Robert Monroe (e.g. on www.wikipedia.com). Maybe even bring photos to help your members visualize what you're describing. Play the Hallelujah Mass choral music that helped María Jesús de Ágreda bilocate as your members enter or play some music central to the areas Sierra includes in his novel to help set the scene.